Join Us For a ‘Schools Out Day’! Just because schools may have been cancelled, doesn’t always mean that work got cancelled as well. Our Schools Out Childcare program is a great place for your kids to have fun in a safe environment. 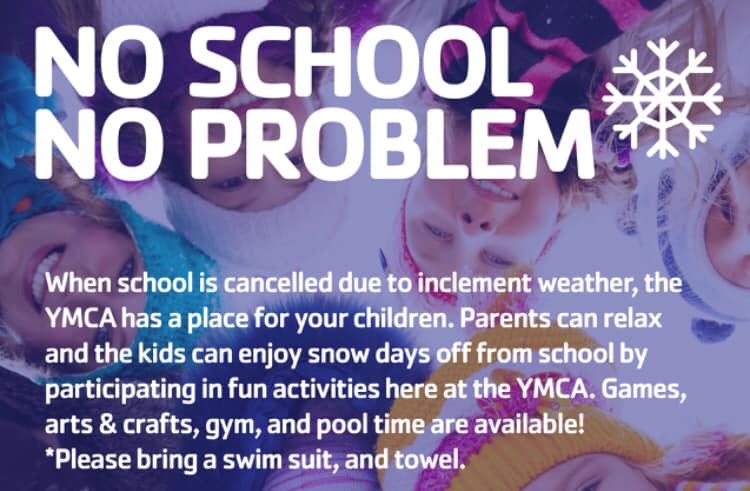 Snow Day Fun Club is for School-Aged Children. Call our facility at (217) 287-7271, or stop by our facility to register for this program. View our master Y schedule below our ‘Schedules’ tab to locate all our programs and classes scheduled for today!